Become a scramble leader without having to take the Basic Climbing Course. Complete our Advanced Scrambling Course. 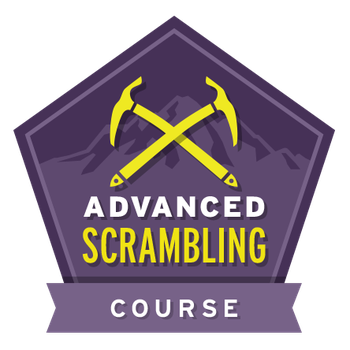 The Advanced Scrambling Course Badge could be granted to members who have relevant experience and can demonstrate proficiency in a variety of applicable skills. To connect with an Equivalency Chairperson at your branch, contact info@mountaineers.org.